I had never done anything with pumpkin before, so last weekend it was time to do so! Johan was sick and what could be better than a soup? Peel the pumpkin (not necessary if it's hokkaido pumpkin), remove the stuff inside (the thready stuff and the seeds), chop it into cubes, approx 2x2cm. Fry the onions and garlic cloves in the butter/oil until softened - don't let them get burned. 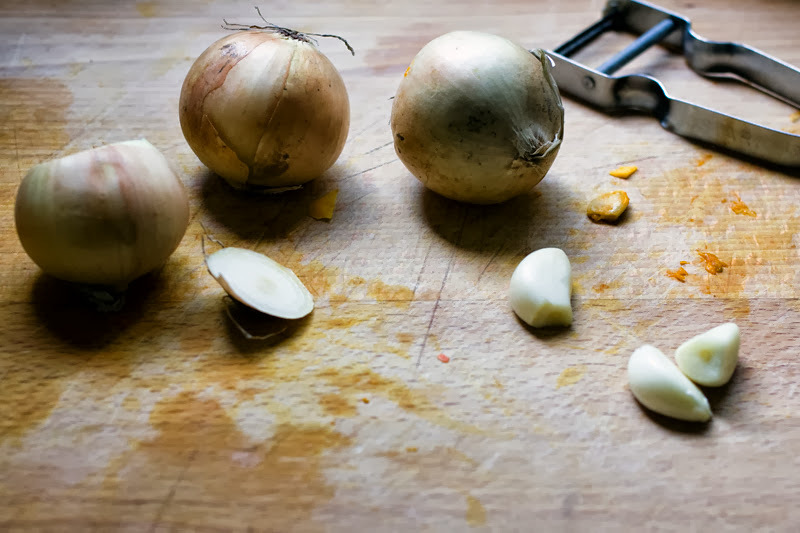 Pour water over the onions and garlic cloves and add the bouillon powder. Let it boil. 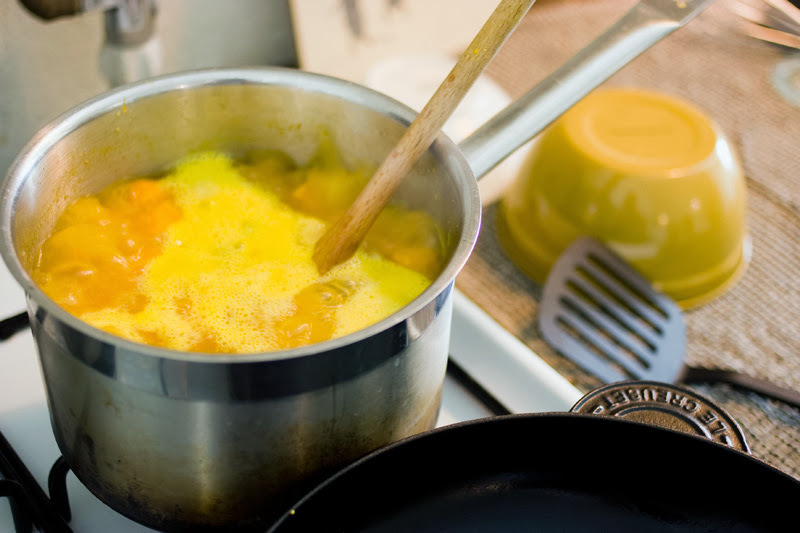 Put in the pumpkin cubes and the chili and let it boil for approximately 10 mins, or until the pumpkin is soft. Mix it all with a mixer (add fresh coriander/cilantro before mixing if you want). 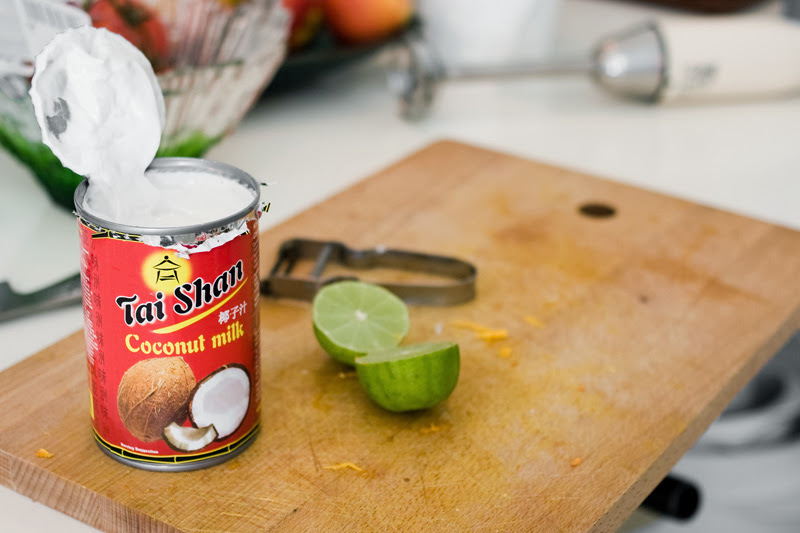 Add salt, pepper, coconut milk and the lime juice. Heat it up and serve in bowls. Top with fresh coriander/cilantro. Enjoy! yes, souptime begins! I love pumpkinsoup - but the most time I take a Hokaido, because you must not peel it and I like the nutty taste of it. I really like your cooking-photos! i love pumpkin soup! a tiny bit of nutmeg adds a great taste to it as well! delicious. it is a joy to visit your site. Looks great, I used doubble cream, but coconut milk and coriander sounds even better! 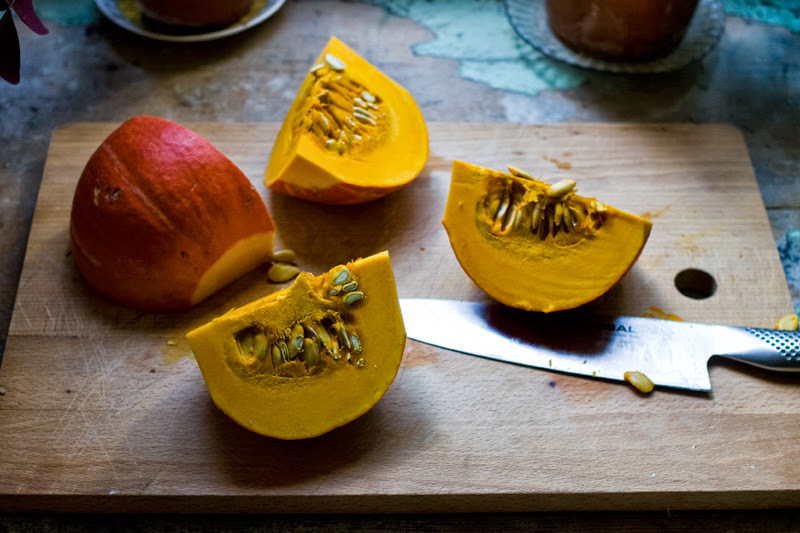 The Hokaido pumpkin is the only one that doesn´t need to be peeled, try it! that's great news, thank you for the tip! i was swearing a lot while peeling it hahaha. I'd love to try adding lime juice and cilantro to my pumpkin soup. Thanks for sharing! Looks delicious! Pumpkin is perfect this time of the year. I will definitely use coconut and coriander next time. 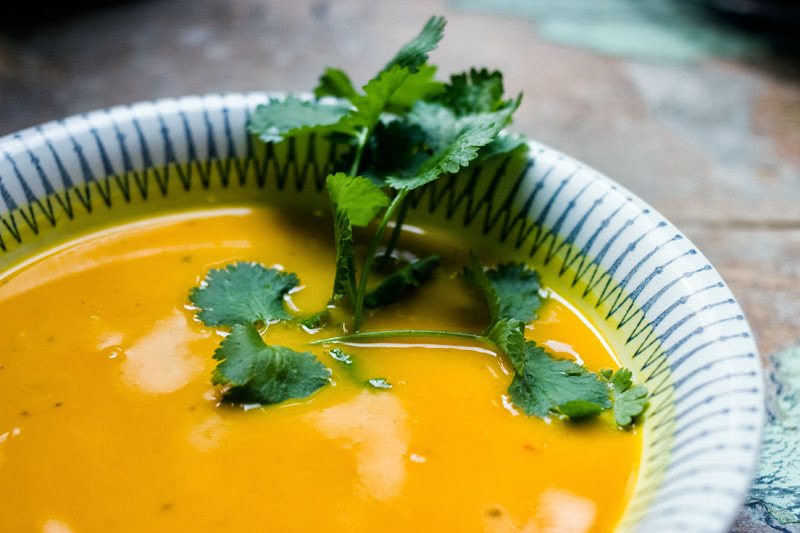 I love pumpkin soup and is always on the hunt for new recipes, thanks for the inspiration. In one of my favorite recipes I bake pumpkin and garlic in the oven first and then use sage for seasoning. 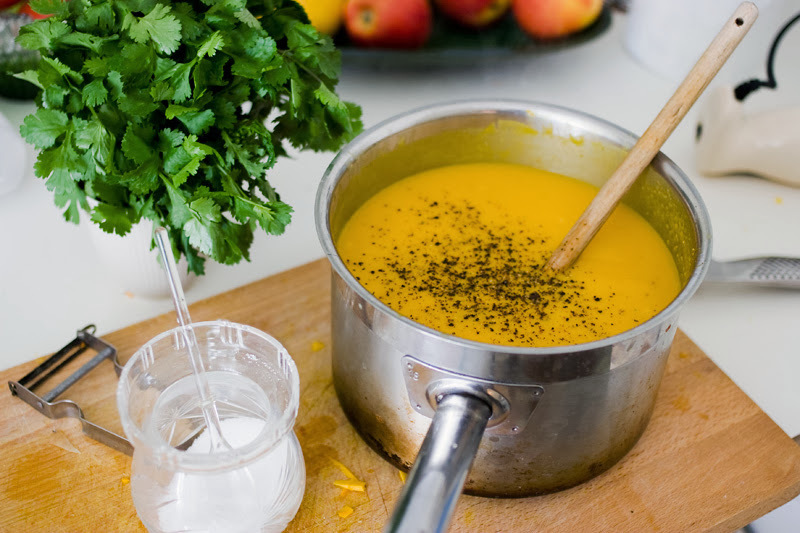 I love pumpkin soup and never ate it with coconut milk as an ingredient: thank you so much for the tip, I will give it a try next time. Hope your dearest is feeling better now! These pictures make it look so yuuummy! Looks and sounds fantastic! 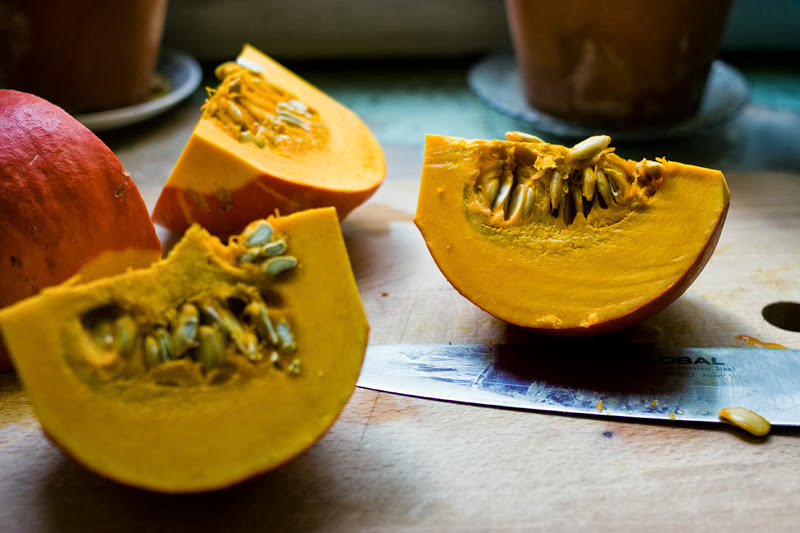 Although I've already found pumpkin soup recipes I like, I always love to try more, and will definitely put this on the list! Cool! I love pumpkin soup. We have a pumpkin in the kitchen too, and i think he might end up into a soup tomorrow..
i often fry sunflower seeds on a pan to add them on the top of the ready made soup. Pumpkin is such a funny word too..
Wow, interesting idea! I have never eaten pumpkin soup, but I'll try it for sure. It looks delicious. Love these photos so simple and lovely. Also love coconut and pumpkin by themselves, so why not together? Will try this before it gets too hot here! Please please PLEASE write a cookbook, you two! The photographs alone would be worth the price. another great and very quick and easy dish is to slice them thin and put them in the oven, together with sweet potato for instance, drizzle some olive oil and a pinch of salt and let it cook until desired softness. i even leave the peel on.